At a time when Philadelphia is having to pay to get rid of household trash it used to sell to recyclers, a South Jersey company says it wants to build a plant here that would recycle plastics, waste food, and mixed trash into a gray solid fuel, for use by cement kilns and other industrial burners. Gold Medal Group, a Deptford company that handles trash for towns across South Jersey, has approached Philadelphia officials about moving its material-recovery facility from its current site on 49th Street west of the Schuylkill to a 4.5-acre site on Pattison Avenue east of the Schuylkill, says Mike Schmidt, a Gold Medal executive vice president, who recently moved from Texas to take charge of Philadelphia operations. 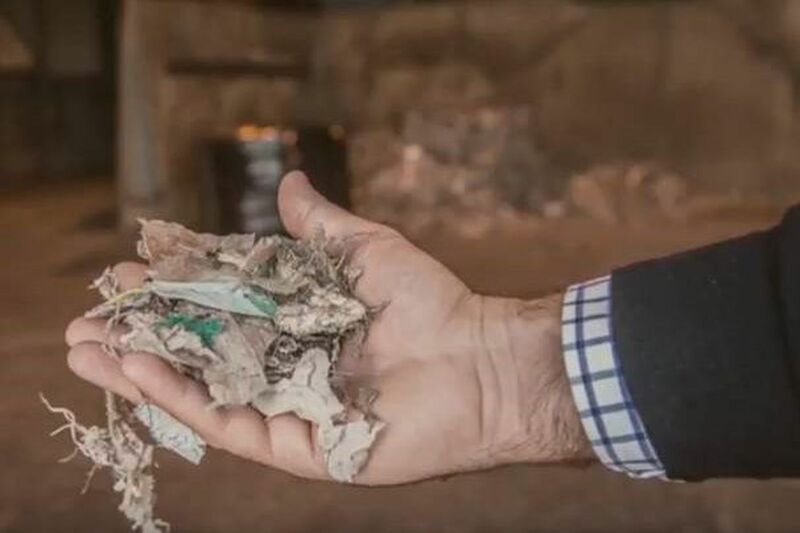 "We take mixed waste, which is hard to process, and turn it into a gray fluffy solid," Schmidt said . "Rather than bury it, we make it into a clean-burning product that will help reduce the reliance on coal but significantly cleaner than coal," and with metals removed. That proposed material-recovery site is next door to a solid-waste management facility Gold Medal has purchased from owner-operators Envirowaste LLC and Commonwealth Commons, LLC, for a price it won’t disclose. Together the two plants would form an “eco park” where the company profits by turning trash into useful material, reducing disposal cost to the city and other trash generators, according to Schmidt. Gold Medal is owned by Kinderhook Industries LLC, a $2 billion, New York-based investment firm that is financing the acquisition of Envirowaste and the proposed new plant. Schmidt said the new plant would use both biological-enzyme and mechanical processing, in a combination “HEBioT”-brand renewable-waste facility developed by BioHitech Global, a publicly-traded company that operates a similar trash-to-solid-fuel plant in Martinsburg, W.Va. He says there are also similar plants operating in Europe. “We take waste there’s no market for, and create a solid, recovered fuel, to be used at places like cement kilns. It has BTUs [heat content] similar to coal,” Schmidt said. There are no plans to burn the fuel on site. The existing solid-waste facility, connected via Conrail to landfills around the Northeast, has permits to process 1,000 tons of construction material and municipal waste daily, Gold Medal says. Gold Medal clients include grocers, restaurants, and Temple University, where Gold Medal has installed food-waste digester machines that heat food waste and expose it to hungry microorganisms that chomp it into an effluent that can “go down the drain to the wastewater treatment centers,” Schmidt said. “Food is mostly water” and easier to process than more solid wastes, he added.